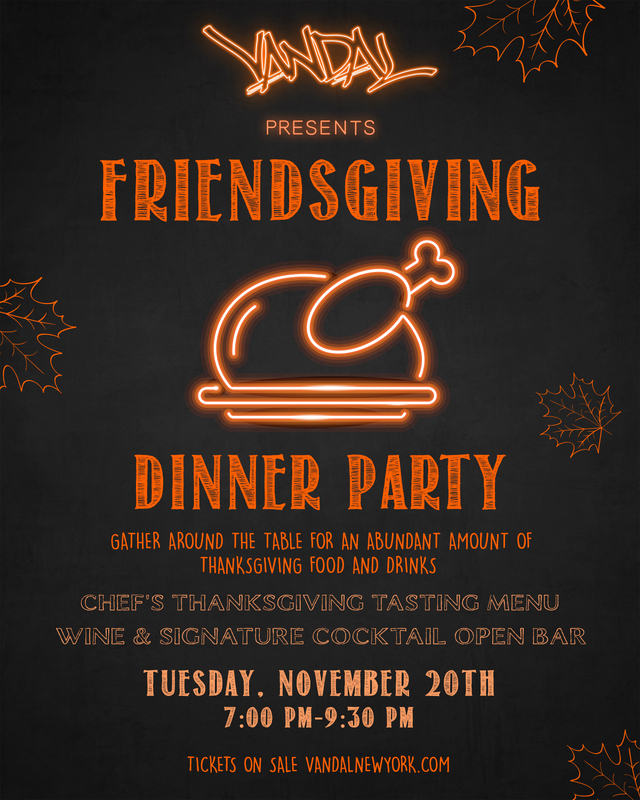 Bring your chosen family together and join us for an exclusive Thanksgiving dinner party at VANDAL. Enjoy a festive 4-course tasting menu gathered around a banquet table in The Gallery. Indulge in wine and specialty cocktail bar and curated plates unavailable to the public. Following this event, guests will receive complimentary entry to Tag Tuesdays. Doors open at 6:30PM. Dinner begins promptly at 7:00PM. Seating is limited.